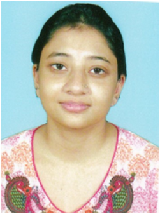 Ms. Doyel Neogi has completed B.A from Christ College and M.Sc. Clinical Psychology from Montfort College, Bangalore. She has about three years of teaching experience. She has earlier worked in St. Joseph’s College & Jain University as Assistant Professor.